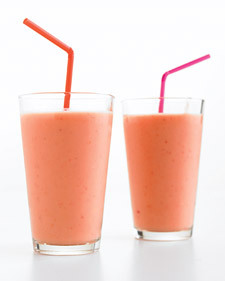 This strawberry smoothie is a real energy drink and best of all it's delicious! Cut the banana into slices. Put all the fruit in a blender, add orange juice and blend. And there's your smoothie.